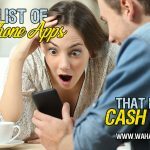 You are here: Home / Extra Cash / 13 Best Apps That Pay You to Shop In-Store and Online! Imagine getting paid just because you went grocery shopping. Now imagine that’s reality, because it is! I hate shopping for groceries – I’ll admit it. But, if there’s one thing that will make me motivated to keep shopping, it’s the fact that I can literally get paid to scan a barcode for money or scan my shopping trip receipts and get paid. Like surveys and rewards sites, the following apps won’t make you tons of cash. 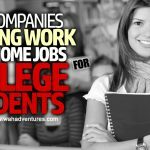 They’re more helpful for earning some extra cash for something you do anyway – grocery shop. Think of it like a little reward for your hard work of adulting! I Can Take a Picture of Receipt and Get Money? 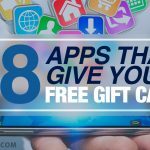 I personally use a few of these apps to give me some extra money for my grocery shopping trips. We all know how expensive food is nowadays. I look for ways to save wherever I can. When I find a way that not only saves me money but gives me some money back, I’m all for it. These apps will give you money to do things like scan barcodes and take photos of your shopping receipts! If you love healthy and organic foods, then you won’t want to miss downloading BerryCart on your mobile device. This app rewards you for tracking down and buying organic, non-GMO, and gluten-free foods! You can even get helpful tips and information about the foods through the app so that you can stay educated too! Most of the products are ones that you can find in stores local to you, as many of them are offered in huge chain stores like Whole Foods and Wal-Mart. All you have to do to get the cash you earn from purchasing the products is snap photos of your receipts and wait for BerryCart to verify your purchases. Usually, it takes about 24 hours to see your cash. 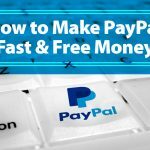 Then, you can cash out your earnings quickly and easily with PayPal. Checkout51 is an app that rewards you to shop by taking advantage of offers and then scanning your receipts to prove that you bought those products. Basically, you’ll receive cash back on your purchases based on the offers you choose. Before you shop, check the app and pick the offers you want. Save them to your account and then get busy shopping. Buy those products, scan your receipt using the Checkout51 app, and then see your earnings accumulate in your account. Some offers are ones that you can even redeem multiples of to really stack up your savings. Once you get $20 in your account, which isn’t very hard to do when you shop for a big family, you can redeem your earnings for a check. Fetch Rewards is a shopping app that can save you money for scanning the products you buy as you shop. Not only does Fetch have exclusive coupons and discounts you can use to save money, but it will also give you Fetch points for scanning your products and making purchases. The app also comes in handy on your shopping trips. It will total everything as you go, so you don’t have to keep breaking out the calculator as you shop. 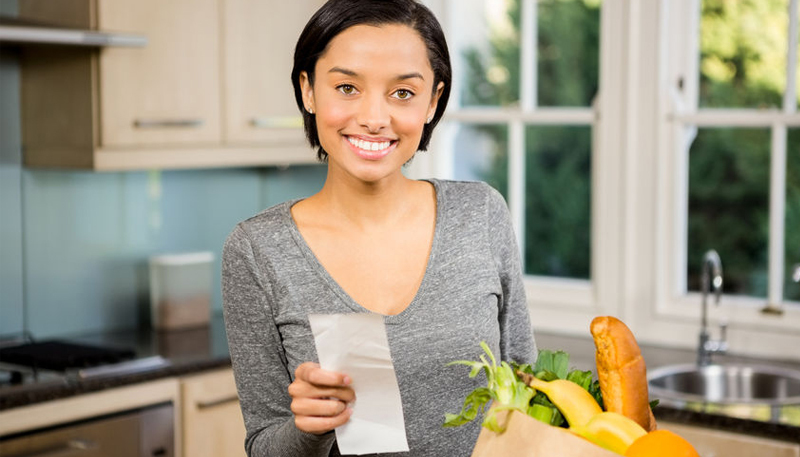 You can also create organized shopping lists to streamline the process. You’ll also earn 10 Fetch points for every dollar you spend on your trip, so they can add up fast. Once you have enough points to redeem for a prize, you can choose from several gift cards, like Nike and Amazon. Ibotta (review) is probably my favorite app on this list. It’s the one I use the most often because it seems to have the best deals for the items I tend to buy. Once you get signed up, you can start browsing offers and applying the ones to your account that you’ll use. When you go shopping, make sure you buy those items. Then upload your receipt, and Ibotta will credit your account with your savings. But one of the best things about Ibotta is that you and people you know will be placed on a “team” to earn even more. When your team completes monthly goals, you all can earn more cash in your Ibotta account! Ibotta also has a referral system that pays you when people sign up using your link. You need $20 in your account to cash out with PayPal, but I usually have enough to cash out every month. JingIt is another app that pays you to shop. This app is all about brand engagement. 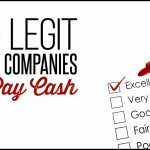 You can earn money by doing things like watching brand videos, purchasing items from specific brands, and scanning barcodes of those brands’ products in the store. Once you have enough in your account to cash out, you can choose from a direct deposit to your savings or checking account, or one of several gift cards. MobiSave makes it pretty simple to save money on your shopping trips just by uploading your receipts. Instead of having to claim offers before you shop like many other apps make you do, this one lets you know what deals you’re eligible for automatically after it sees your receipt. Therefore, you won’t have to spend a bunch of time picking out offers and buying those products. There’s always a chance your receipt won’t turn up any deals, but you might as well try to make some money off the things you purchased. When MobiSave finds a deal, it will automatically transfer your savings to your PayPal account. Receipt Pal is an app that focuses solely on uploaded receipts to pay you! You don’t have to shop for specific products or redeem offers. Instead, just upload any receipt from your in-store or online shopping trips and Receipt Pal will pay you for them. You can earn using this app by filling up the points cards you receive each week. You can do that by scanning your receipts. You’ll also get an entry into the weekly sweepstakes every time you submit a valid receipt. Just remember to stay active. If you don’t submit any receipts for 90 days, your points will go back to zero. The points you get can be redeemed at any time for the gift card you want. Receipt Hog is pretty similar to Receipt Pal. Take a picture of your receipt and earn points. Receipt Hog has added some other ways to earn, though, making it more of a rewards app than just a shopping app. You can also take surveys, play the slots, or enter sweepstakes to earn more with this app. Once you reach the necessary number of points to cash out, you can redeem them for PayPal cash or an Amazon gift card. I’m sure you’ve heard of the popular coupons circular called SavingStar. You’ve probably seen it in your mail or local newspaper. SavingStar also has a mobile app that helps you get even more savings on your trips. On the app, you can browse the current deals or search for ones you’re specifically looking for. Activate the ones you want, so it’s easier for you to find them when you’re ready to shop. When you find a deal, you can even scan a product at the store to make sure it’s the right product for that deal! Your earnings will total in your account, and you can cash out with PayPal, an Amazon gift card, or donate the money to charity when you have at least $5 saved. Shopkick offers quite a few ways for people to get rewarded on their shopping trips. Basically, anything you do while shopping can give you points, called “kicks” on this app. Get kicks for things like checking into a store, scanning product barcodes, and making purchases. You can also get kicks for shopping online with Shopkick partners or completing paid offers. Shopkick has several rewards to choose from, like Amazon and Target gift cards. Shopmium is kind of like the UK version of Ibotta. You’ll browse the offers, activate them, and then purchase those products at the store. Then, upload your receipts and get paid. You can get your money via your bank account or PayPal in up to 72 hours. Snap is an app by Groupon, a website known for its ability to help you save tons of money on everything from hotels to experiences. This app is more focused on shopping trips, though – both online and offline! Use the app to search for deals from the places you want to shop. If you’re shopping online, you can find promo codes and discounts from your favorite retailers. Or, find savings on specific products at your favorite brick-and-mortar stores. When you click the link for the offer, you’ll be eligible for savings on your purchases. The app previously paid checks to members who had at least $20 in their accounts. Now, the app pays you in Groupon Bucks. You can use these either on the Groupon website or to make purchases through the Snap app. Walmart Savings Catcher is another one of my most-used apps for shopping, right behind Ibotta. If you frequently shop at Walmart, you can’t afford not to have this app! Walmart Savings Catcher lets you upload your Walmart receipts by taking a photo of them or scanning the code. Within a couple of days, Walmart will check your receipt’s prices against competitor prices and alert you if you overpaid at Walmart for anything. Then it gives you the difference as an electronic gift card that you can keep in your Walmart Pay account. Use your earnings when you want or save them up. You can use them on your next Walmart trip! Walmart also lets you save your receipts in the app so that you don’t have to save all the paper ones. Read More: Huge List of 93 Android and iPhone Apps That Really Pay You Money! Conclusion: Get Paid to Upload Grocery Receipts! Why just shop when you can save money when you shop? 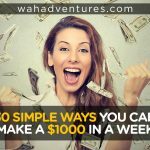 These apps will do that for you, and it won’t take a lot of effort on your part to make some money. Just install the app, shop, and collect your earnings by scanning barcodes or receipts. I suggest using a few of these apps at a time to maximize your earnings. Stick with the ones that have the best deals for the places you shop and products you buy. What apps do you use to save money on your shopping trips?